We are fortunate to have so many caring persons who are able to donate to us their time, friendship, talents, funds or material resources. Volunteers comprise the Board of Directors, perform many of the fund-raising functions, assist with helpful professional expertise, provide needed "extra hands" for the performance of various public relations, clerical and maintenance duties, plus offer a variety of other contributions. 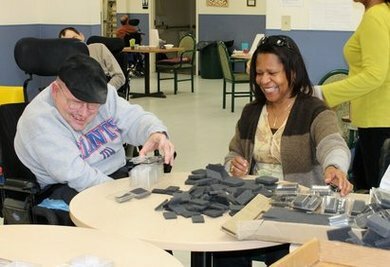 We hope that our Volunteers will gain from their experience with The Arc a sense of satisfaction, an increased awareness of people with developmental disabilities, and many positive experiences. 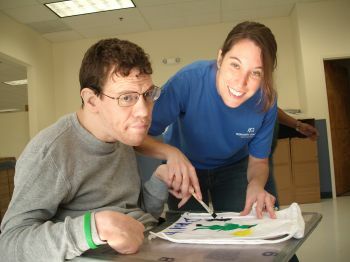 Please consider becoming a Volunteer for The Arc of Somerset County. For current volunteer opportunities, please click on the link below. Knowing that you are making a difference in the lives of people who appreciate your knowledge, skills, talents and other contributions. Being given the opportunity of meeting new people and developing lasting friendships. Acting as a vital link between The Arc and the community. Helping to increase the community's understanding and awareness of the qualities, abilities and needs of persons with developmental disabilities. Using your spare time in a valuable and productive way.